Finding the motivation to keep fit is a universal struggle, but what if you were paid to exercise? That's the idea behind Sweatcoin, a free app that turns your steps into digital currency. Russian fitness fanatics Oleg Fomenko and Anton Derlyatka came up with the idea in 2015 when Fomenko had lost the motivation to work out after his previous startup went under. The London-based pair, both in their 40s, realized the problem with getting people to exercise is the human tendency to prioritize immediate pleasure over long-term gain. "We started talking about how we can use modern technology to give you instant gratification" for physical activity, Fomenko said. 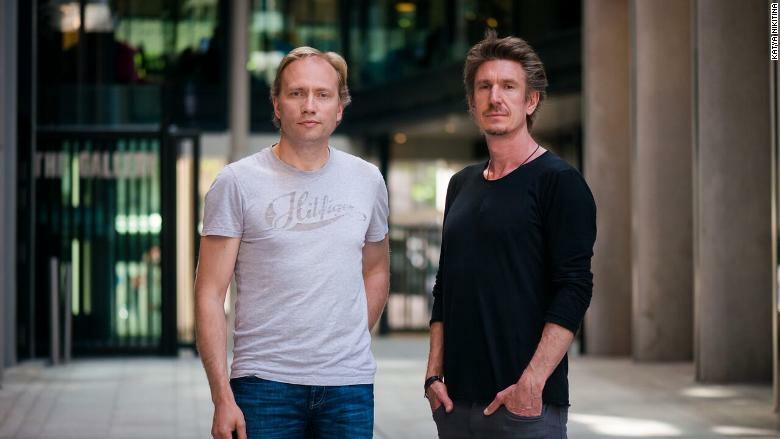 Sweatcoin co-founders Oleg Fomenko and Anton Derlyatka. In 2016, they founded Sweatcoin. 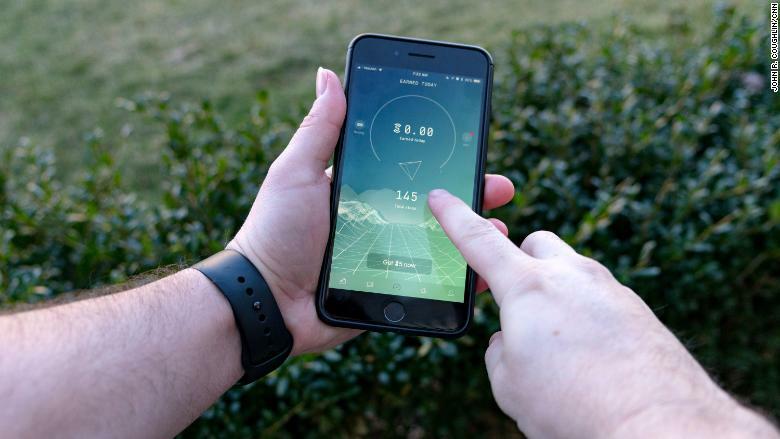 The app pays users 0.95 sweatcoins for every 1,000 steps they take outdoors. 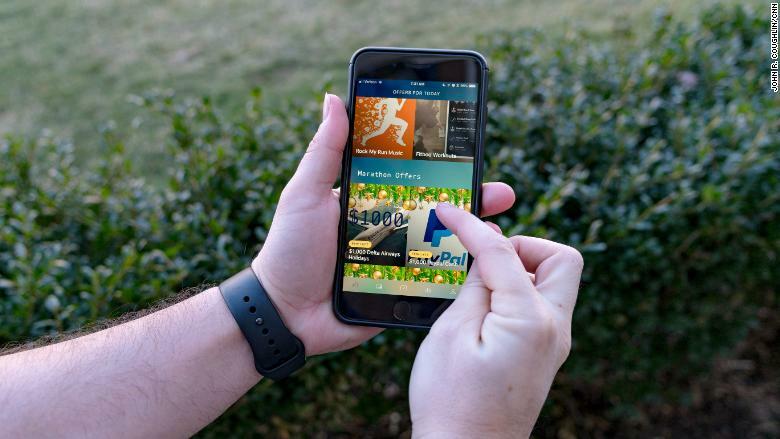 That digital currency can be traded for fitness gear, giftcards and workout classes in the app's marketplace. About 20,000 sweatcoins -- that's just over 21 million steps -- can be exchanged for an iPhone X. "If you remember that your steps can be converted into something valuable, you're slightly more likely to walk rather than take a bus," Derlyatka said. Some users have complained, though, that it can take a long time to accrue enough sweatcoins to purchase the more appealing items -- and that sometimes the ones they're really interested in have disappeared by the time they reach the required amount. Available in the US and the UK, the app now has 10 million users. Its creators say that its success hinged on making sure the step-counting technology was watertight. "We realized that as soon as you turn movement into currency, into value, you are automatically attracting a lot of gaming, a lot of falsification," Fomenko said. "We have thousands of people who attempt to game us every day." To stop people cheating, Sweatcoin uses a cellphone's inbuilt step sensor to track movement. An algorithm then checks the phone's readings for speed, consistency of movement and location to eliminate any false data. Currently, the app only tracks outdoor steps, as the founders say these are easier to verify. They are developing an algorithm to detect real and falsified indoor steps with help from researchers at the University of Warwick. About 300 brands give products to Sweatcoin's marketplace for free, hoping to expose their goods to relevant consumers, explained Derlyatka. In July, Sweatcoin began asking brands to pay it a fee when a user buys one of their products through the app. It says revenue has grown quickly but making a profit "is not a priority at this point." The company started out as a health app, but its future lies in the world of cryptocurrencies, according to its founders. "A lot of people portray us as a cool, funky, gamey app. Probably it is, but this is just a stepping stone, the ultimate vision is the currency," Derlyatka said. In January, the company secured $5.7 million in funding to help finance its plans, enabling it to double its number of employees to 20. Fomenko and Derlyatka want to expand globally and develop the technology to allow people to trade sweatcoins, much like bitcoin and other other cryptocurrencies. The founders even hope that one day people will pay taxes with sweatcoins. "We are a really powerful tool for the government and healthcare system to motivate citizens to be more active and as a result save more money," Derlyatka said.